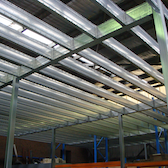 We design and manufacture steel beams, flooring systems, decks, mezzanines, roof frames including sub-floor piers and bracing. 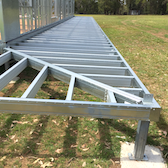 Decks are engineered and delivered as a kit including bearers, joists, brackets, fasteners plus piers and bracing. 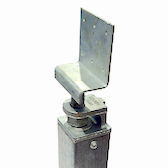 A range of adjustable pier heads and bases designed for a flush finish. 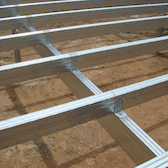 Together with Ezibrace bracing system completes the whole sub-floor. 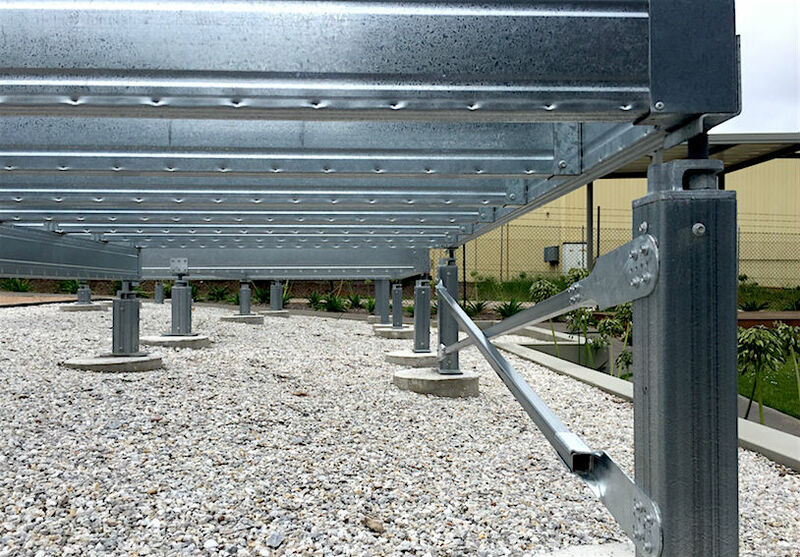 Light structural steel beams with a streamlined rectangular profile that resemble the shape of traditional beams but with the advantage of low maintenance. 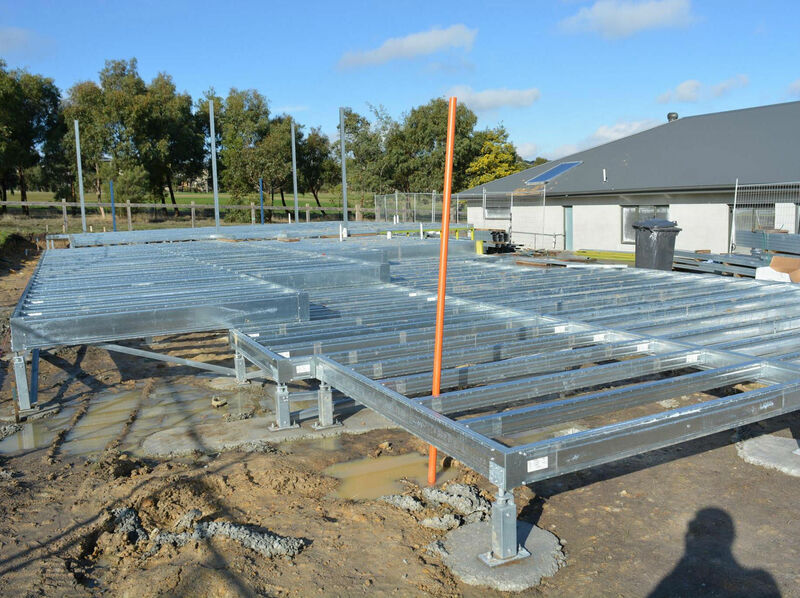 Our team always has a project on the go, to make building even easier. 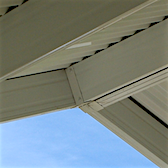 We have consistently brought innovative new products to the building industry. 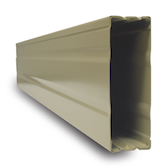 For small jobs (awnings & decks) use stock beams – Colorbeam® or Boxspan®. 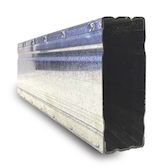 If restumping floors use Ezipier®. 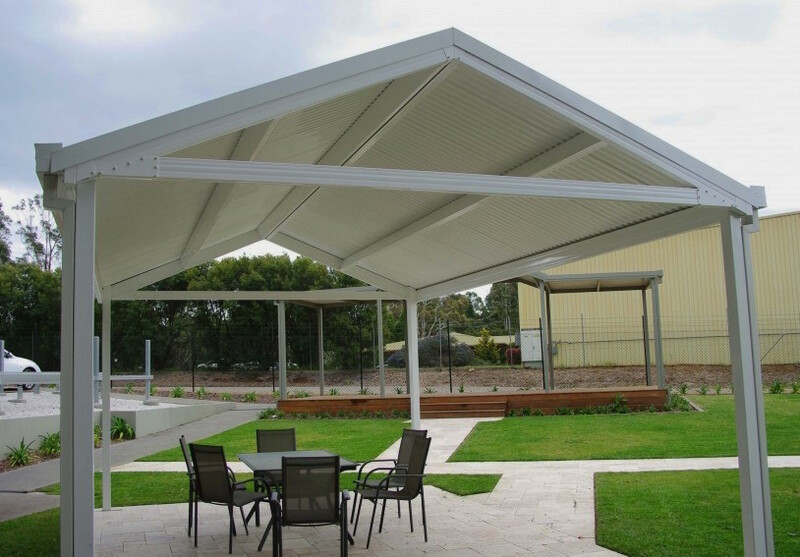 Buy from a distributor near you. 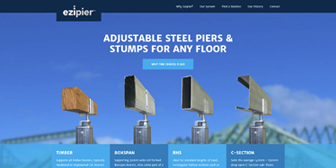 Ezipier® adjustable steel piers replace brick piers, timber or concrete stumps for sub-floors. 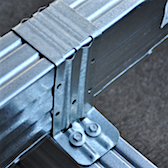 Together with Ezibrace® your sub-floor is complete. 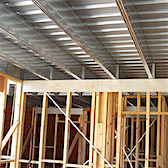 SPANTEC supports House Rules again in 2018 series. 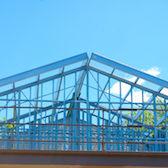 This time for two separate sites! 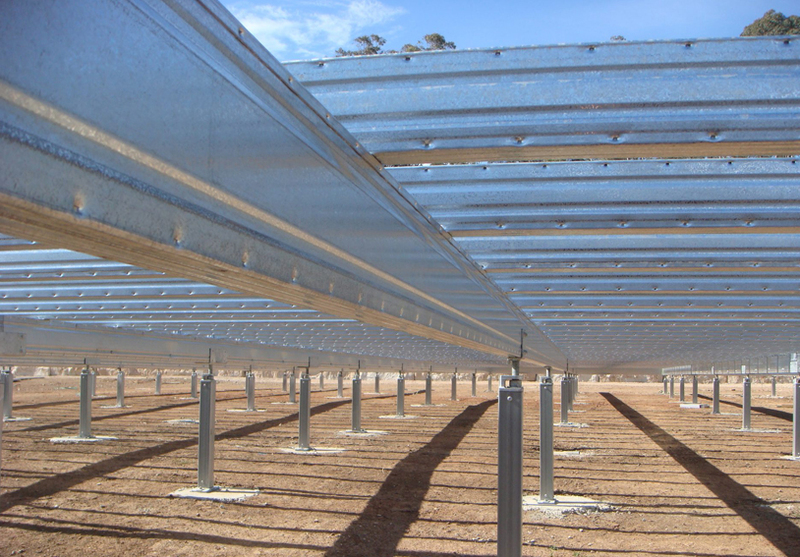 Spantec is a leader in light structural steel beams and the largest steel flooring system specialist in Australia. 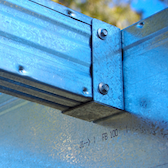 Spantec Systems is a member of HIA (Housing Industry Association) and NASH (National Association of Steel-Framed Housing Inc) with our steel supplied by BlueScope. 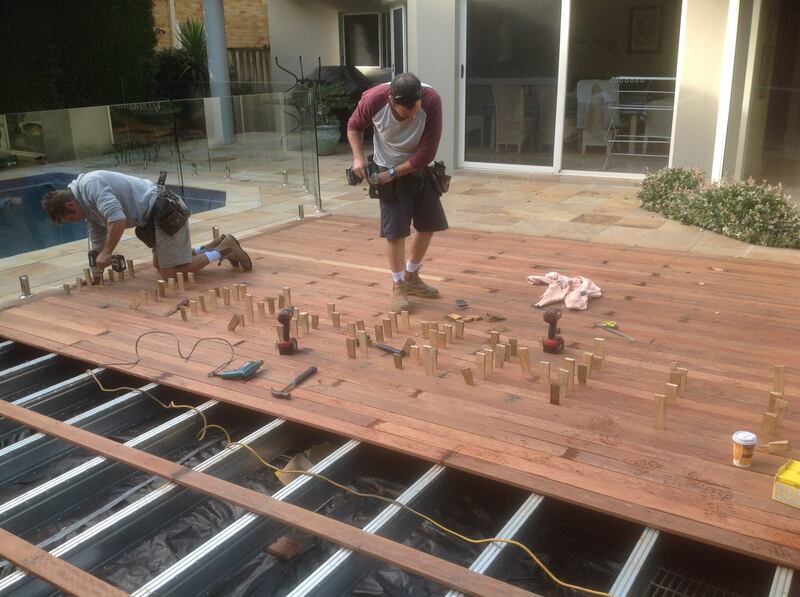 Close to the ground deck by the team from Patioland. 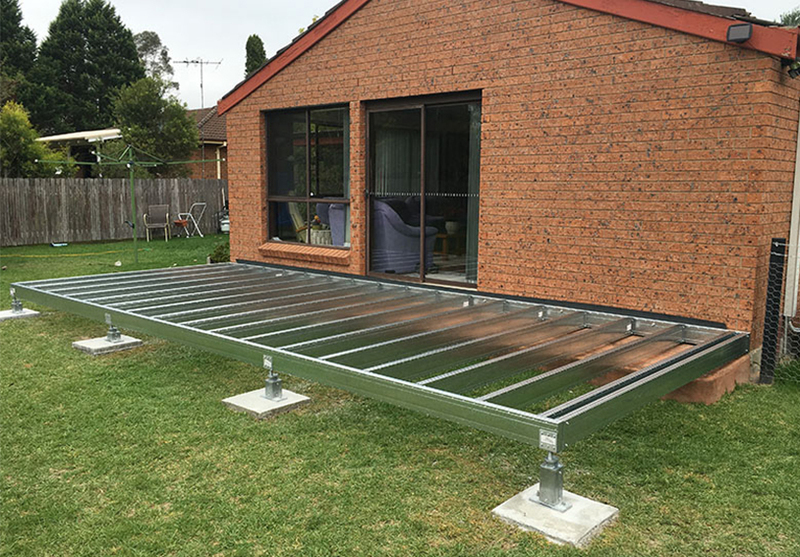 Owner built sub-floor system with the help of Dynamic Steel Frames in Victoria. 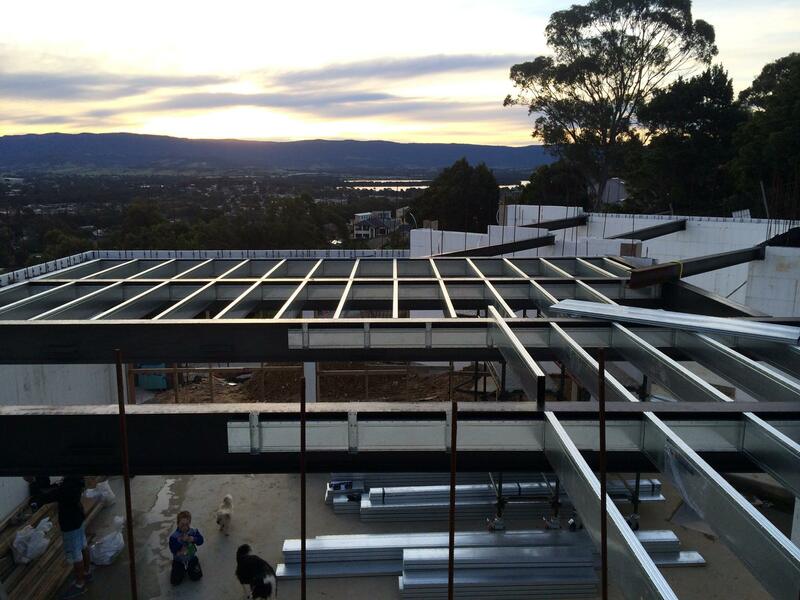 Upper floor frame being installed by owner builder Nathan. 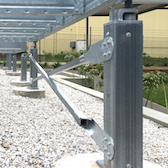 To support topping slab above. 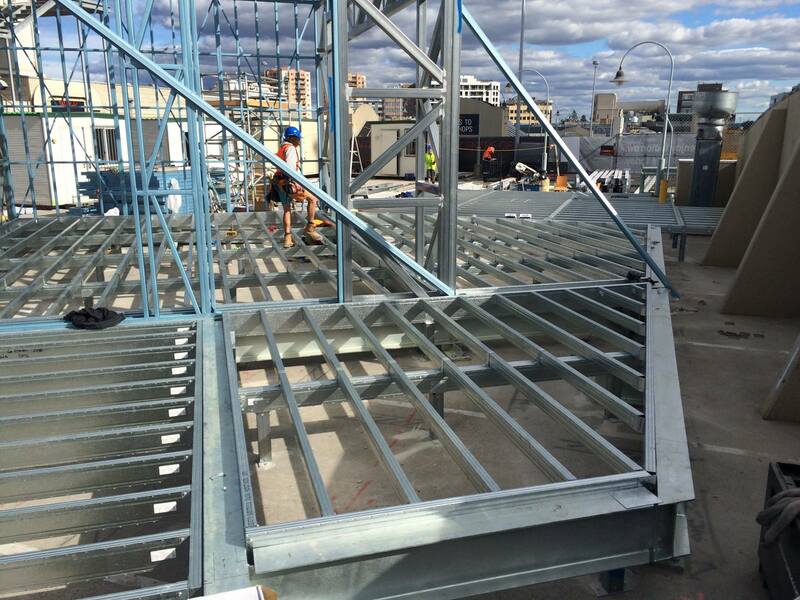 Hurstville Westfield shopping centre new rooftop alfresco by Go Steel.